It’s pretty easy to transfer pictures from computer to Android. Use a USB cable to connect your Android phone or tablet. 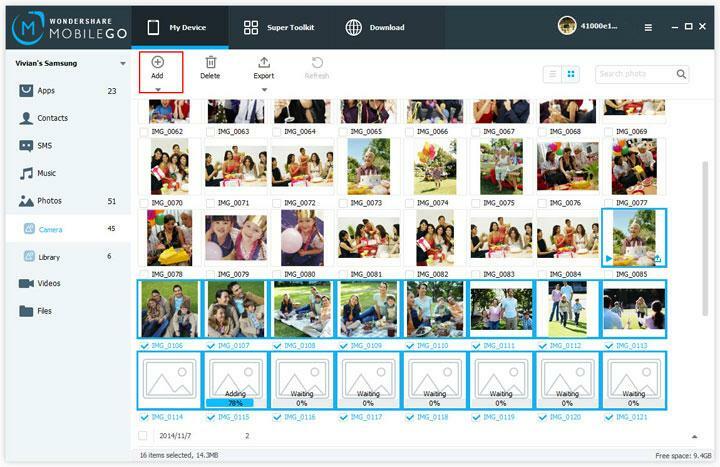 When the disk of your Android phone or tablet appears, you can copy your favorite photos to it. Sounds easy, right? However, have you never encounter any difficulties? What if your USB cable is broken or fails to work? When your computer can’t detect your Android phone or tablet, what can you do? Indeed, to copy photos from computer to Android, why not use an Android manager to help you? Here is my recommendation for you – Wonershare MobileGo for Andorid (for Windows users) or Wondershare MobileGo for Android Pro (Mac). Both versions work well in transferring photos between Android and computer. 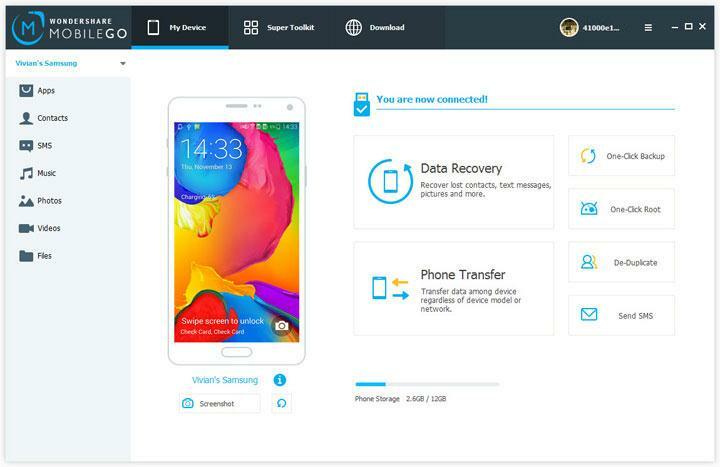 Additionally, they empower you to import contacts, sms, music, videos and apps to your computer as well. Download this free trial program below to take a try! Now, let’s take the Windows version as a try. If you’re using the Mac version, you can still go through the following steps to move photos from computer to Android in the similar way. To begin with, connect your Android phone or tablet to your computer via a USB cable. If you use the Windows version, you can even connect them via Wi-Fi. This program works well in Windows 8/7/2003/XP/Vista. When your Android is detected, all contents on your Android will be displayed in the primary window. Note: Multiple Android phone and tablets, like Samsung, HTC, Google, are fully supported. Check More Supported Android Devices to get more info. In the primary window, click the triangle next to "Photos". All albums on your Android show up. Choose one album to save the importing photos. Then, click the triangle under "Add" and choose "Add file" or "Add folder". When the file browser window pops up, find your desired photos or photo album and then import them. That’s the simple steps on how to move pictures from computer to Android. Now, download the right version to get things done!